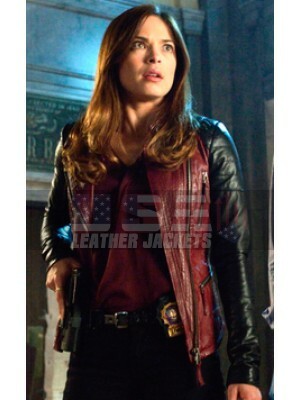 AGENTS OF SHIELD 3 MELINDA MAY JACKET If you are a fan Agents of shield, then all the ladies, this one is exclusively for you. 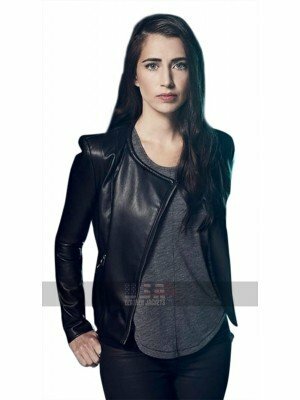 This is the Agents Of Shield Melinda May Black Leather Jacket which is specially designed to make sure that it replicate..
An all seasonal fashion favorite has been taken to inspire for its versatility and soft, supple feel. 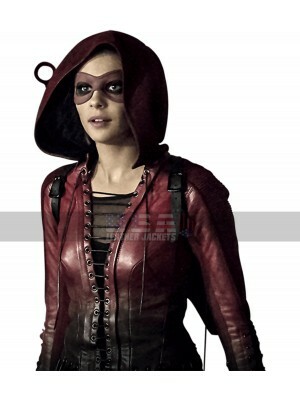 The fabulous red leather jacket is an iconic pick from the famous American TV series ‘Arrow’ worn by the character of Thea Queen also known as Speed..
TV Series Counterpart Baldwin Cotton Jacket Spun with the soft, sustainable yarn, this tremendous looking Baldwin Counterpart Sara Serraiocco Black Cotton Jacket breathes ultimate comfort and an effortless composure into your look. It is a gorgeou.. Create the most synchronizing, mix-and-match wardrobe staple with a luxury appeal! 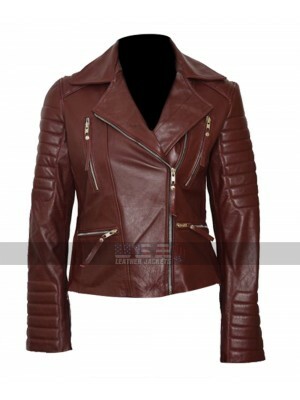 The astounding Beauty and the Beast Catherine Chandler Red Biker Leather Jacket is a superior choice to instantly go for; whether you are riding in the day or at night.. 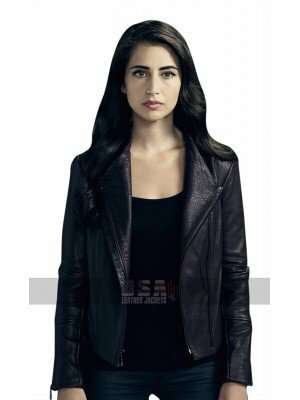 Beyond TV Series Willa (Dilan Gwyn) Lapel Collar Black Leather Jacket is a beauty which has been inspired by a celebrity and has been the top selling article here, this jacket has been all made using the most premium kind of leather being a choice th..
Brooklyn Nine-Nine Rosa Diaz Quilted Shoulders Brown Jacket These days women have also been found to be attracted towards the tough outlooks and tough clothing and considering this factor we can conclude that Brooklyn Nine Nine Rosa Diaz Jacket is.. These days the trend of having hands on the denim finished material is something that provides for a lot of fashion sense to people who love to carry trendy clothing. 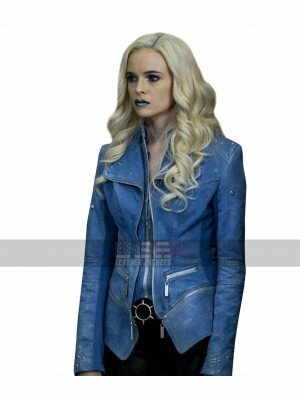 Caitlin Snow The Flash Season 4 Killer Frost Blue Costume Denim Jacket is also one ..
Sara Serraiocco Counterpart Black Hoodie With its distinguished silhouette and butter soft leather, Counterpart Baldwin (Sara Serraiocco) Black Hoodie Leather Jacket is a classic piece that you need in your closet forever! Taking inspiration from ..
Celebrity jackets are always fascinating and usually tend to attract people like anything. 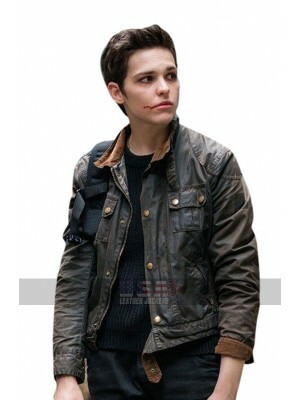 Dilan Gwyn Beyond TV Series (Willa) Round Collar Black Leather Jacket is provided with the making of the best quality material, which may include two different.. 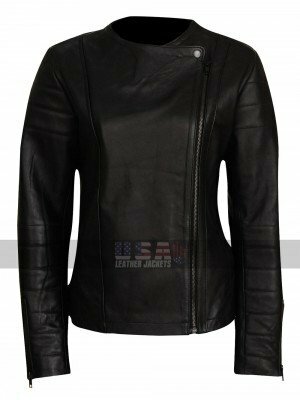 Doctor Who Jenna Coleman Biker Leather Jacket The need of having hands on a beautiful looking jacket is always something people look ahead for and usually need to have hands on too. Since these days the concept of biker jackets is increasing like ..
Ryn Siren TV Series Fur Shearling Blue Jacket Up your outerwear game with this marvelous pick from the American TV series Siren. 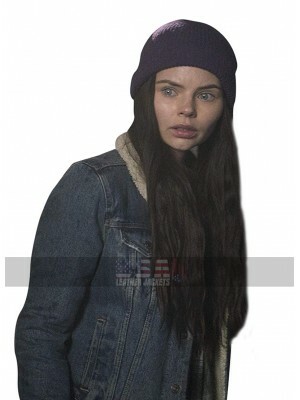 Worn by Eline Powell as Ryn; astounding blue jacket reveals the best grade denim construction. 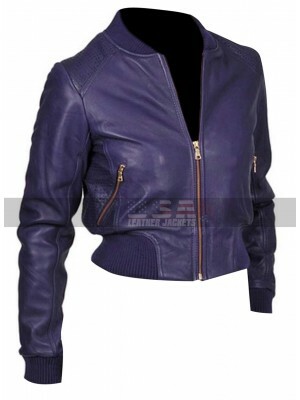 Eline Powell Siren TV S..
Amma Scarlen Sharp Objects Satin Jacket Lending a refined finish to your entire ensemble; here is a luxuriously made, smart bomber jacket brought from the short running American TV series ‘Sharp Objects’. 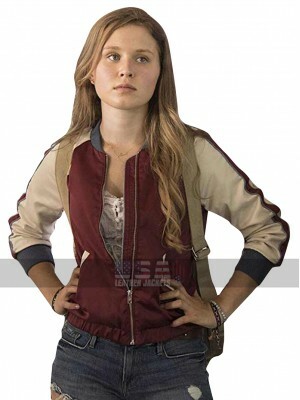 The beautiful young actress Eliza Scanlen .. 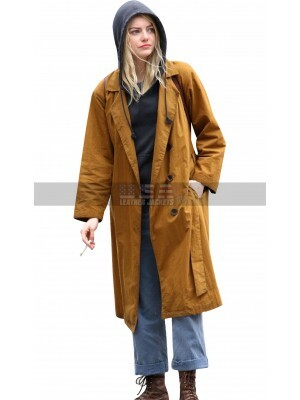 Snap up sufficient style and versatile glam in this eye-grabbing trench coat from Emma Stone closet in the famous Netflix series ‘Maniac’. 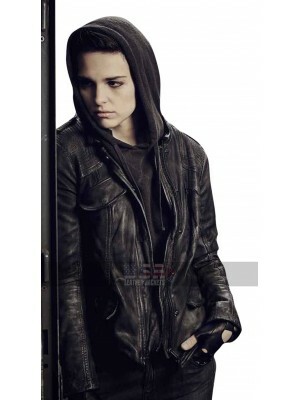 The gorgeous actress dressed perfectly in her character as Annie in a casual, worn-out black hooded sweatshirt ..